Malawi electoral commission has issued a statement saying that the registration and inspection of voters roll exercise will end today by 4 pm and the duration will not be extended. The statement urges all eligible people who have not registered or verified their names and come from areas where by-elections will take place to present themselves at their respective centres before closing time. MEC has added in the statement that it will not accept registrants or transfers from outside the constituencies or wards where these by-elections will take place. 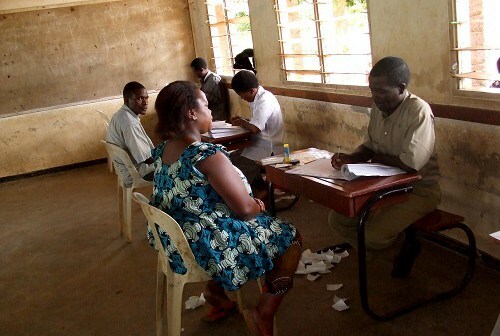 “All persons who registered in the May 2014 Tripartite Elections, whether they voted or not, are requested to inspect their details in the voters roll at the centre where they registered,” the statement says. All voters who lost their certificates are also urged to go to the centres where they registered to at least get a duplicate certificate to enable them to vote during the voting day. These by-elections slated in October will take place in Lilongwe Nsozi North Constituency in Lilongwe District Council, Mayani North Ward in Dedza District Council, Lilongwe City South East Constituency in Lilongwe City Council, Mtsiriza Ward in Lilongwe City Council, Ndirande Makata Ward in Blantyre City Council and Nsanje Lalanje Constituency in Nsanje District Council.